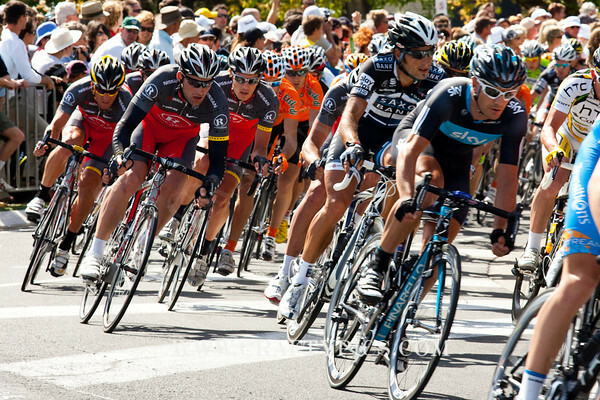 With Lance Armstrong and the Tour Down Under the centre of everybody’s attention in Adelaide, I thought I should write about a passion of mine – cycling!! On some of my regular, long, sometimes enjoyable – sometimes painful rides lately I have been thinking about the similarities between cycling and Social Media. This has helped put the value of Social Media into perspective for many fellow cyclists. Every Tuesday evening I ride with a group of 50 or so men and women ranging in age from 17 to 70 from Scuzzi Cafe in North Adelaide. They are a disparate group that have one think in common – cycling – so we come to together and build a Community with a common purpose. Isn’t that what Social Media can do too??!! In fact a few are now “LinkedIn” with me and exploring business opportunities as a result of finding out more about each others professions from LinkedIn. During the ride, we, like all cycling groups (even the Pros in the Tour Down Under), provide support and advice for each other to help get the maximum value from the ride and ensure a safe and enjoyable ride … even though we are secretly competing against each other!! The advice comes in the form of simple hand signals or short sharp phrases that warn of upcoming hazards (eg. glass on the road, a parked car ahead that those behind can’t see) or advice that it’s safe to cross an intersection. A wave of the hand signals glass on the road, a shout of “car back” warns the group a car is coming from behind on a narrow road, a hand behind the back signals a parked car or a stop sign … while a shout of “clear” lets those following know it’s safe to cross the intersection … and there are many more to cover every situation. So it’s a bit like Twitter with it’s short, sharp and highly effective communication that passes rapidly to those that are interested. During the ride everyone takes their turns at the front to make the pace and block others from the wind … it is up to 30% easier riding closely behind another. In a peloton the outside line rides a few kms faster than the inside line so that someone constantly moves to the front while someone on the inside drops back. It’s another unwritten rule and courtesy that all participants know and respect – a bit like the self regulation that is core to Social Media. So we build a community for a common purpose … we help and support each other (even competitors) with valuable information and we communicate directly and effectively. Now that is exactly what Social Media allows us to do too … isnt it?? If you watch the Tour Down Under or any Pro or Amateur Race you will see plenty of evidence of all of the above too. Finally when we get back from our ride the Cafe recognises the value of our loyalty and provides hefty discounts to all cyclists to make sure we keep coming back. Not only do the discounts apply after the ride … but any cyclists going to that cafe at any time will pay only $2 for a coffee. So there you have it … Community, Communication, Loyalty, Listening and Rewards – all key elements of Social Media and cycling. Perhaps that connection was evident when Lance Armstrong “tweeted” that he was riding last Saturday morning at 9am along the beautiful Adelaide beaches and invited all and sundry to join him – more than 7,000 turned up on their trusty treddlies – all shapes and sizes – most in their lusty lycra!! Follow Lance Armstrong … and ride with him.. The final day of the 2009 Tour Down Under held on the streets of the city of Adelaide. As a poor example of a Lycra clad looney who loves to ride a bike, I naturally follow Lance Armstrong on Twitter … esp since he came to Adelaide this year to ride The Tour DownUnder. Now he is giving us all a reminder why it’s a good idea to follow interesting people on Twitter Lance Armstrong has invited his Twitter followers for an impromptu bike ride in Glasgow. Unfortunately I’m not near Glasgow, and while my cycling is barley adequate for a leisurely ride with Lance , I want to highlight this kind kind of conversation with fans which Twitter now makes possible. This is one of those things that has fueled the astonishing growth of Twitter and makes it a great tool for a wide variety of uses. Check out the tweets from Lance below. Whilst still trying to learn what I need to leverage my use of Twitter I am amazed at its now epidemic like growth. I am sure it is well beyond the Tipping Point and may well be providing enough material for a new book by Malcolm Gladwell. 1. The adoption of Twitter as a medium for Celebrities as a medium to communicate directly with fans. Lance Armstrong is one of many examples. Cycling affecianados have followed his return to Cycling via his regular Twitter updates. When he came to Adelaide for the Tour Down Under he added thousands to his fan base including SA Premier Mike Rann and Tourism Minister Jane Lomax Smith. His tweeting about the delights of his time in South Australia now has the Premier and Minister using Twitter. There are now more than 200,000 following him (he follows only 43 thought) most of whom he has introduced to Twitter I suspect. The list of celebrities using Twitter to stay in touch is growing rapidly across a diverse range of ages and now includes – Britney Spears, Stephen Fry, Shaquille O’Neill, Al Gore, John Cleese, MC Hammer, William Shatner – all have more than 100,000 followers. 2. The use of Twitter by companies large, medium and small to connect and rapidly respond to consumers needs/issues/recommendations and toi promote special offers etc . Whole Foods Market asks what their clients like to read and watch, recommends new food podcasts and invites them to the company upcoming events. HRBlock runs ask-and-answer sessions with their customers. Starbucks posts new offers and also participates in threaded discussions of these offers with their Twitter-followers. Dell has created a number of Twitter profiles, each meant for different types of deals (e.g. DellOutlet posts recent refurbished Dell computer offers). So why has Twitter grown so rapidly? It has been introduced to millions by brands/people they trust and has provided them with value. So once again its a trusted brand combined with value adding to build consumer demand and support.